The 28-year-old actress stepped off the plane looking tres chic in an all-black outfit. She teamed a black tee with a pair of The Row skinny jeans and styled both with a pair of white sneakers. Her classic Frame Denim nautical peacoat — available at Shopbop — amped up the rather casual tee-and-jeans combination. Emma Stone arrives at Los Angeles International Airport on December 19, 2016. Emma wore a riding cap and hid her eyes behind a pair of Ray-Ban sunnies in an attempt to go incognito. She further accessorized with minimal jewelry and carried a black suede sling bag by The Row, available at Net-A-Porter. She rounded out her travel look with barely there makeup and a loose bun. 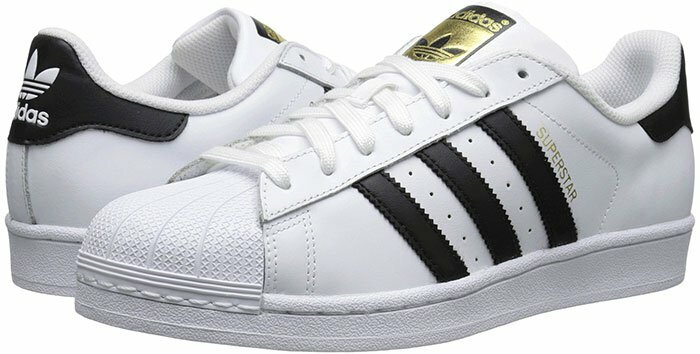 Emma selected a pair of Adidas “Superstar” sneakers to complete her comfy jet-set style. These shoes are made of white leather and feature a contrasting three-stripe design, iconic shell toes and rubber outsoles. You can get these Adidas sneakers at Nordstrom and Zappos.